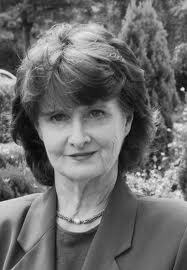 Poet Eavan Boland writes about her poem, ‘This Moment’. ‘This Moment’ is about a time in my life when my children were very young. We lived in a suburb which faced the Dublin hills and where the summer light lasted a long time into the evening. When I went out to call in my daughter she would run into my arms, just as the light was going. This poem remembers that time, but in an impressionistic way. I wanted to convey the stillness, the waiting, the about-to-happen feeling of summer light going. Most of those details in the poem are taken from my life at that time: the moths of late summer always caught my eye as they banged against our kitchen window, and the first house lights through the summer twilight were always an evocative sight to me. But it’s the mother and child who are the focus of the poem. It’s as if the child’s reunion with the mother makes the summer twilight shift and stumble into real night. The stars, the moths, the sweetening of the apples all happen as a result of the encounter. And that’s my real subject. This is a poem which puts human nature and actual nature beside each other. It also puts nature under the control of human nature, which of course it’s not in the real world. But by suggesting it is in this poem I was able to convey something of the power and beauty of the meeting between the child and the mother. And that’s what I wanted to do. The form of the poem is fairly open. The short lines helped me create a sort of staccato effect. Small as the space was, I wanted a hint of drama, of an event getting ready to happen. But this kind of poem – which is over almost before it’s begun – depends most on its images. As a young poet, I was influenced by my mother. She was a painter and had studied in Paris in the thirties. She was taught by a Russian artist called Leo Survage, who spoke a strange and memorable phrase to her. “There is a place in the painting” he used to say “where the soul sits”. Despite the slight quirkiness of the phrase, my mother remembered it and often quoted it to me. Even now, I find some truth in it when I think about a particular poem. If I apply it to “This Moment” I can see one particular place in the poem where if not the soul then the centre of the action sits. It’s the line about the window and the butter. It’s the most deliberate and intent image in the poem. I have a clear memory of hesitating before I used it. But I went ahead anyway. This is a very short poem. Its space is limited. If I wanted to convey both magic and ordinariness, and I did, I needed an image which would put the light of that first window into the context of the downright and plainspoken image of yellow butter. The effect of the first needed the solidity of the second. So I went ahead and did it, and it’s still the part of this poem I remain most satisfied with.